A dragon-headed, 62mm (2½")Ø, penannular brooch with a rope twist. Such brooches were common during the Iron Age/Viking Age in Northern Europe. 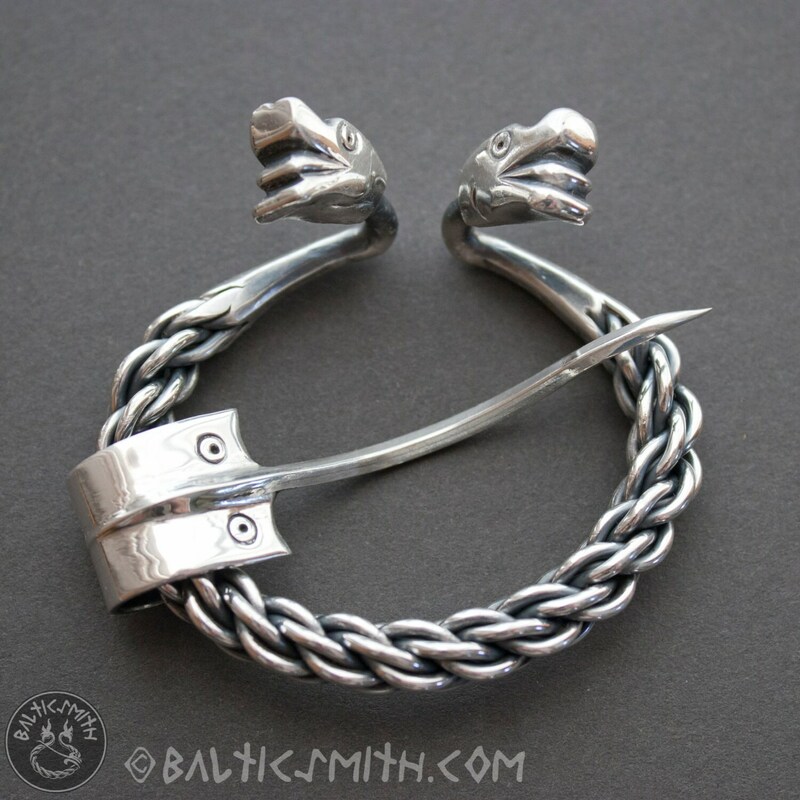 This smiling beast or friendly dragon with its tongue stuck out is characteristic of Baltic (Latvian and Lithuanian) jewelry, while the wire rope-work is more characteristic of Viking/Norse jewelry. Thus this is a composite, rather than a reproduction of a specific artifact or style. 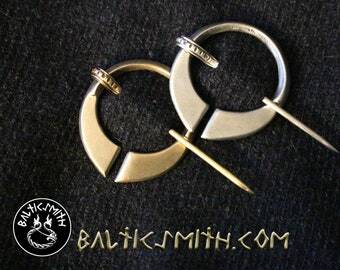 Appropriate for Viking or early medieval reenactors as well as to go with a Latvian or Lithuanian folk costume, especially one from the Iron Age. 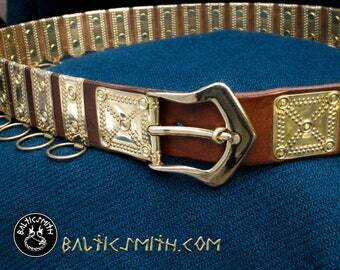 A rather large and heavy brooch, this would be an effective clasp for a cloak or coat. It is also available in bronze. Includes polishing cloth and complementary pouch.